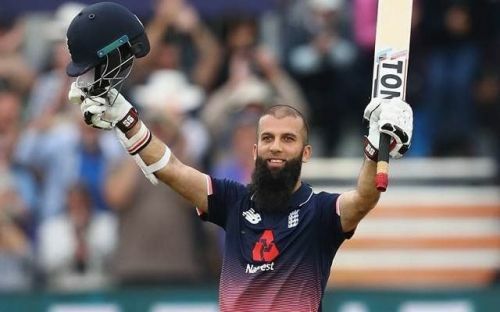 Ahead of the ODI series against West Indies, English all-rounder Moeen Ali has backed his team to finish as the winners of the ICC World Cup and hence, establish themselves as the best England side to have ever played ODI cricket. Despite being called the "Home of Cricket", England have never managed to win the World Cup so far. The Three Lions have previously finished as runners-up in 1979,1987 and 1992 and the current No.1 side will be hoping to go one step further in the upcoming edition. After a 2-1 loss in the Test series to West Indies, the England side will now focus on the 50-over format to gain momentum ahead of the World Cup, which is scheduled to start in May this year. Moeen Ali was one of the few players from the Test squad to have been retained for the ODI series and ahead of the first ODI, the all-rounder was hopeful of success in a very important year for his team. "We can say we were the best ODI side to play for England but without a trophy, it will be difficult to say that." "We have come close and we feel now is the time. We don't feel we have to win it, it's more 'this is the time to win it'. We are an amazing side but we know this year is massive for us." The Eoin Morgan-led squad has been in immense form in the ODI format in recent times and has forged a formidable squad to rise to the challenge. They are considered as one of the favorites to lift the trophy as Moeen Ali too, indicated the same. Moeen Ali has found form in recent times and will go into the World Cup as one of the all-rounders to look out for. He would be a crucial part of the England team which will now look to seal the ODI series in West Indies after a disappointing Test series.